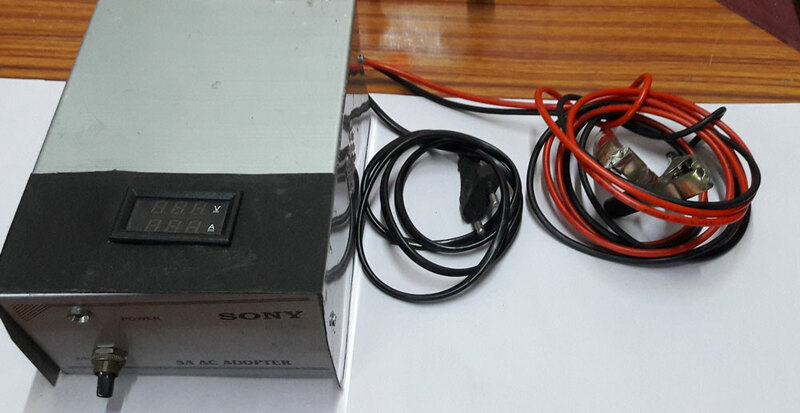 The charger is basically a 5 Amps DC power supply using 14-0-14, 5 Amps Step down transformer. 10 Amps diodes rectify the low volt AC to DC. 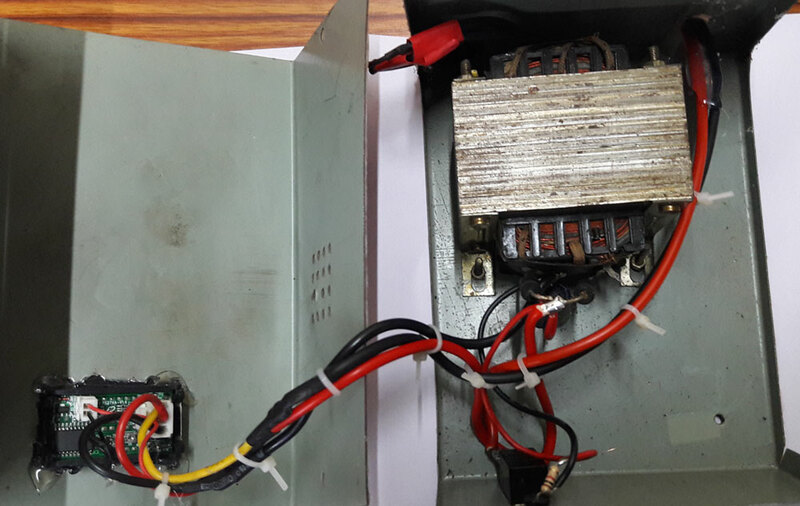 1000 uF Filter capacitor makes the DC ripple free and around 16-17 Volt is available for charging. 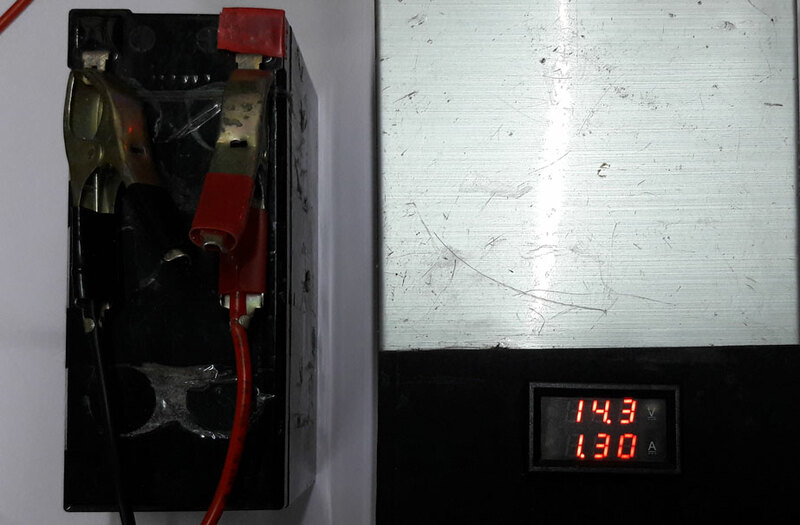 12 volt Lead Acid battery requires around 14 volt steady DC for smooth charging, since its terminal voltage rises to 13.8 V when fully charged. 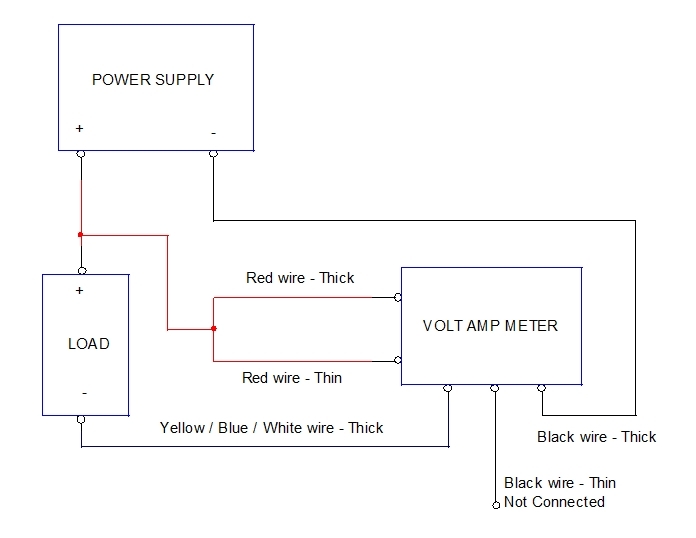 Connect the Diodes and Capacitor as shown in the diagram. 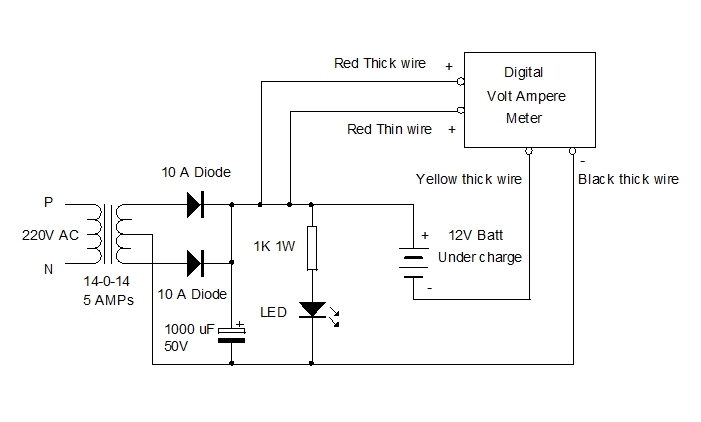 The Digital Volt Ampere meter has 5 wires, so connect it as shown in the diagram. When the charger is switched on without battery, the volt meter will display the output voltage from the charger. 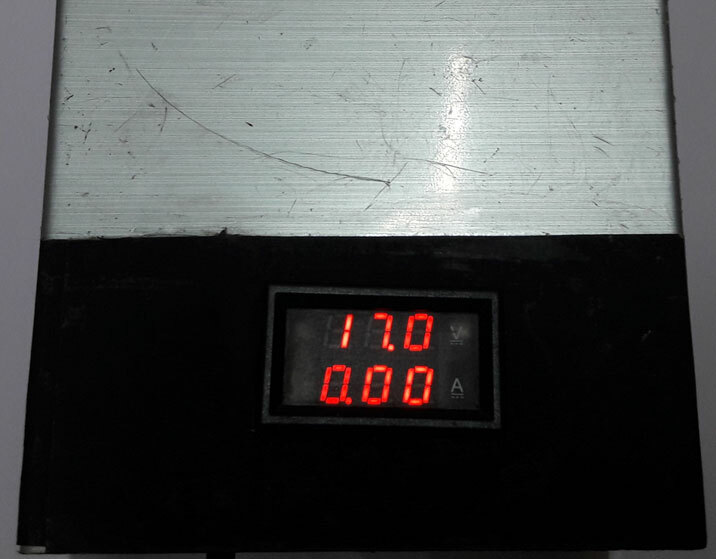 Ammeter will show 000 since there is no load. 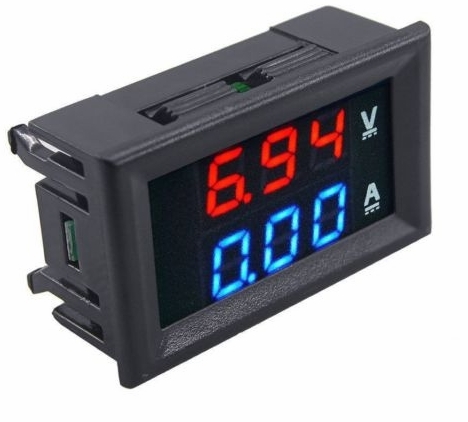 When the charger is connected to Battery without power on, the Volt meter will show the voltage present in the battery. 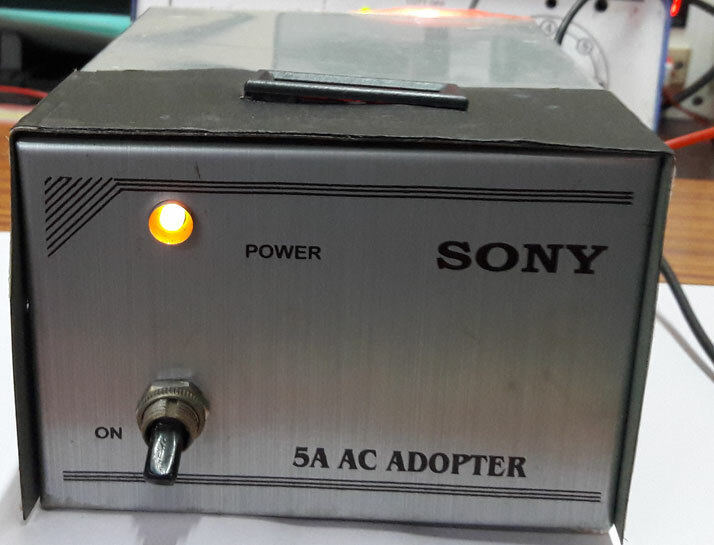 When the battery is connected to charger and power on, volt meter will show around 14 volt and Ammeter will show the current flowing to the battery in Amperes. When the battery fully charges, Ammeter will show 000, which means no current is flowing to battery, since it is fully charged. Switch off the charger with battery connected. 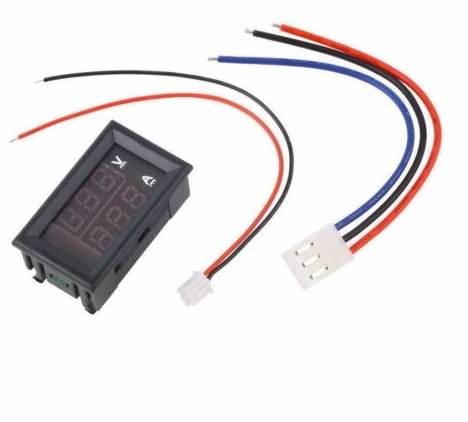 Volt meter will show 13-14 Volts which indicates the fully charged condition of the battery.